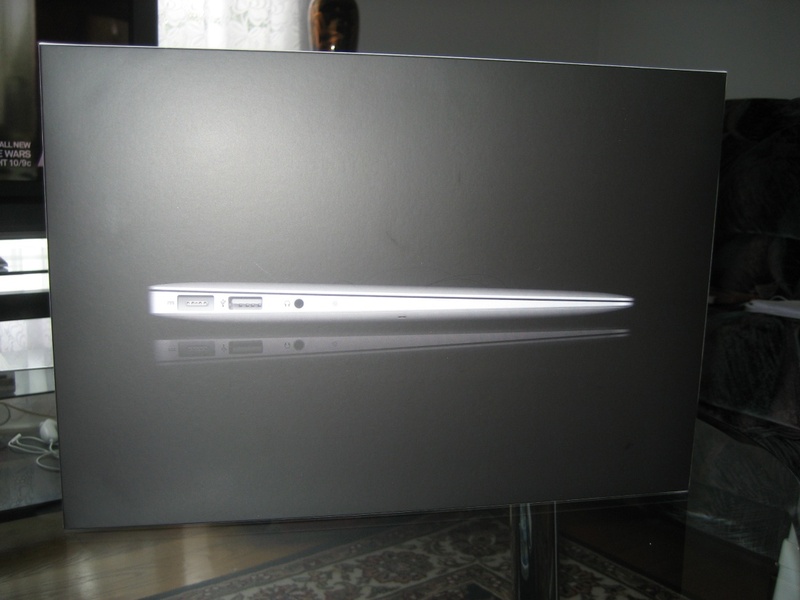 My Macbook Air finally came in today. 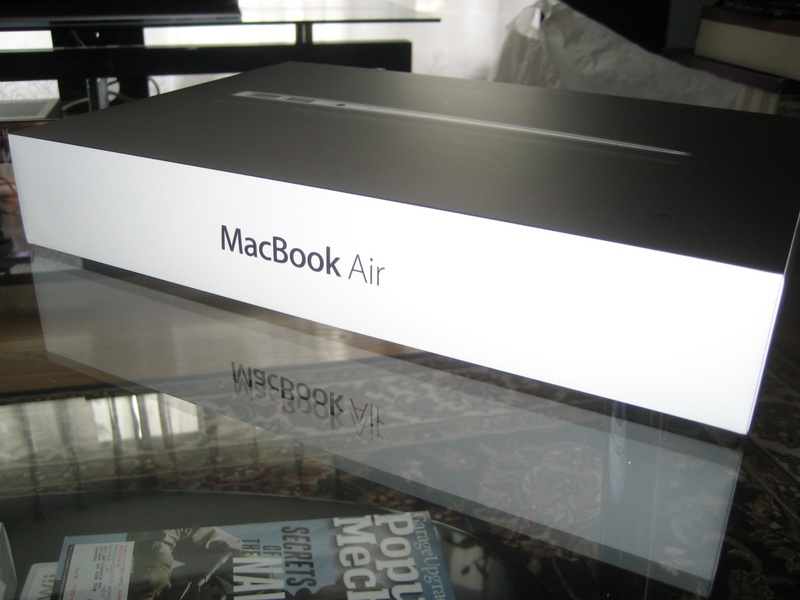 Apple products make great first impressions so don’t be surprised to see nothing, but praise for my Macbook Air in this initial post. 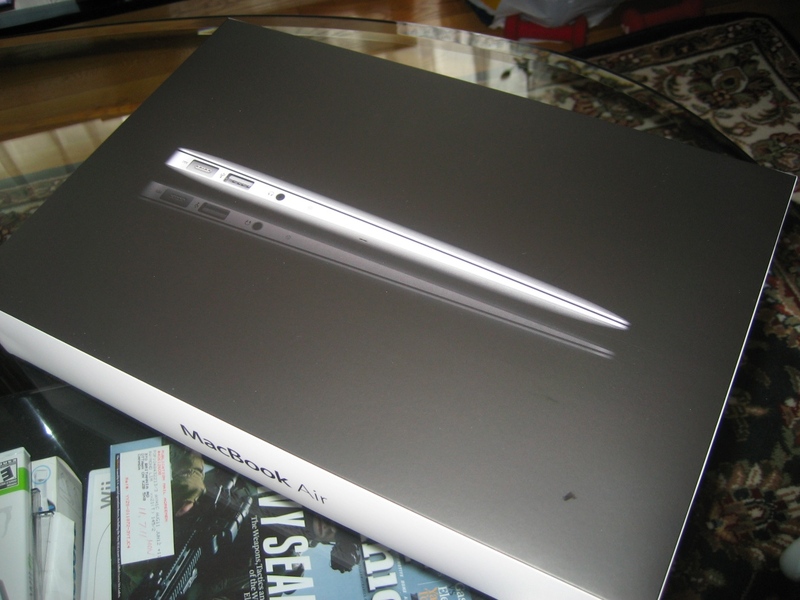 As always, Apple packaging is impressive. Ever since the original iPod Nano, I’ve been impressed with how Apple packages their products. It’s easy to open and get, but it’s also quite secure. 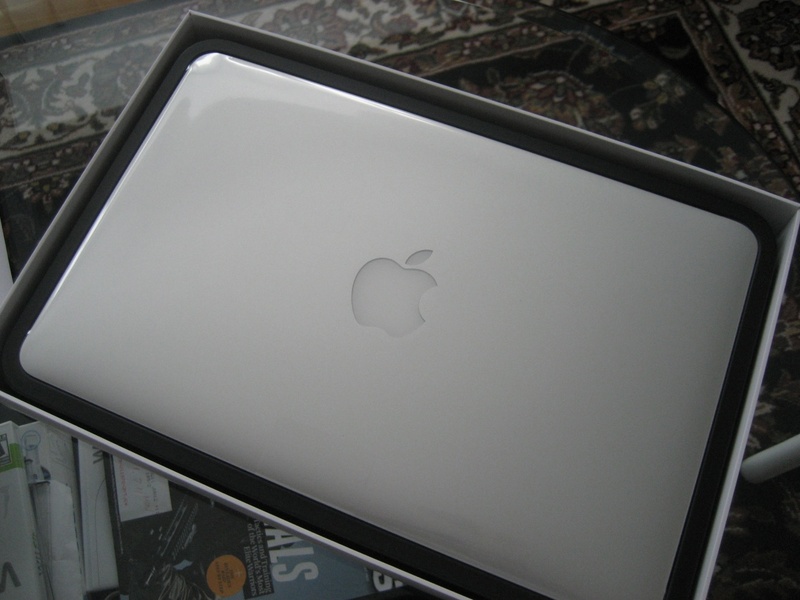 I’m going to replace my Dell Mini 9 with a new MacBook Air. I want one powered by Sandy Bridge and if rumors are to be believed, I won’t have long to wait. In the meantime, I’m on a quest to transform the Dell Mini 9 to what it is and that is a netbook; a laptop made for surfing the web. Windows 7 is a fine OS. It works well with the Dell Mini 9, but it’s a bit much for what is ostensibly an internet machine. What I want is Google Chrome, but I can’t have it because Google is only shipping it with Chromebooks. There are Chromium builds, but I’ll get to that later. A few weeks have passed since I bought the LE8500, so I thought I should share a few more impressions with the set. Perusing the AVSForums can be extremely dangerous. They will highlight problems that you may have overlooked initially and completely ruin the way you look at your HDTV. 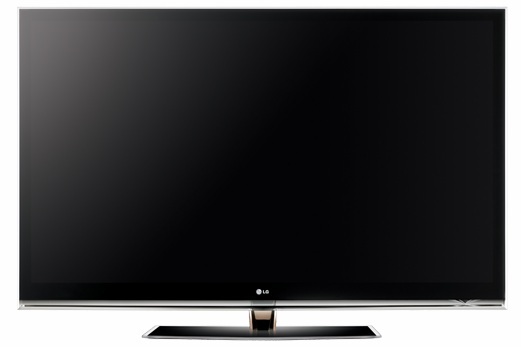 Nearly every HDTV out there has some sort of flaw and the LE8500 is no different. The most noticeable “problem” is the reflective glass screen. I admit it has become more distracting during late afternoons than I initially expected, but it also helped me realize how poor my blinds are. The second point of concern is the banding. Reviews have mentioned it and I do notice it in certain situations (ie: PS3 submenu after holding the PS button), but honestly it’s something I can accept. It only happens in very specific circumstances and it isn’t an active problem like the red flashing where the entire image is altered before my eyes. Other than those two issues, I’ve been more than pleased with this screen. I didn’t forget to post yesterday, I was simply preoccupied with moving HDTVs around the house, reprogramming Harmony remotes and updating firmware for my new HDTV, the LG 55LE8500. It’s easily the largest, prettiest and most advanced HDTV I own.